Need health care services on campus? We’ve got you covered. With school back in session, we think you shouldn’t have to worry about where to get care while also juggling your class schedule. Which is why we’re here to help you explore your health care options so you know where to go if you need it. If you’re living at home or not too far away in the state of Michigan, get care through your primary care provider (PCP). If you don’t have a PCP, you can find nearby providers in your network by logging into your MyHealth account and using our Find a Doctor tool. For more information on locations, hours and appointment scheduling, search your school’s website for on-campus health centers or call their student service number. Is your college or university not on the above list? Search for providers in your network through our Find a Doctor tool, located in your MyHealth account. Going to school outside of Michigan? See below for information on emergency and urgent care services. For all other information about your benefits, check your plan documents in your MyHealth account. Get care from the comfort of your dorm room with virtual care. 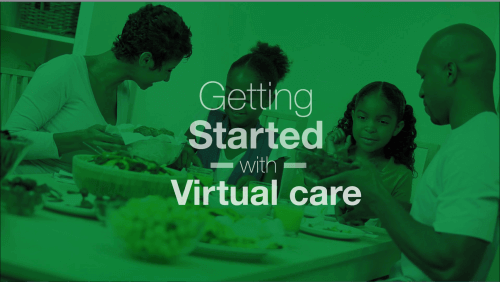 Available 24/7, virtual care is great for treating conditions like nausea, fever, cold and flu, sinus infections and more. *If you’re outside the state of MI, use MDLive for virtual care. Emergency and urgent care is included in your benefits no matter where you are or who you see. If you’re taken to an out-of-state hospital for an emergency or urgent care visit, the cost of care will be shared between you and your health plan. Questions about your plan or where to find care on campus? Reference your plan documents in your MyHealth account for information related specifically to your plan, log in to your MyHealth account to send us a secure message or call the number on the back of your member ID card. Access our Find a Doctor tool, 24/7 virtual care and more through MyHealth. Don't have your own member ID card? Order one to have with you at school.